Do you sometimes find it a struggle for inspiration when it comes to your social media campaigns? It can be tough to think of new ways to get your key messages out there, so to help inspire you, we have rounded up what we think are five of the best social media campaigns of 2015… will your next campaign make our 2016 list? 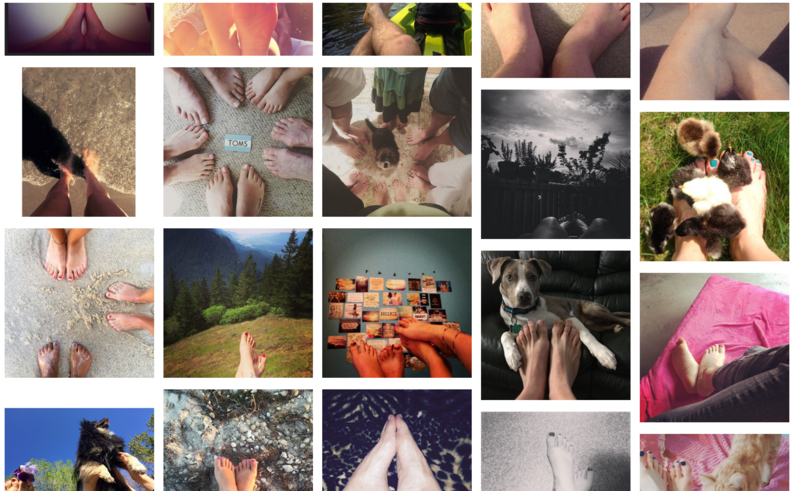 Shoe brand TOMS took to Instagram to promote its #withoutshoes campaign. Every time someone used the hashtag to post a photo of their bare feet, TOMS donated a pair of shoes to a needy child. The campaign resulted in a whopping 296,243 pairs of shoes being donated and underscored TOMS’ commitment to its charitable causes. There are many milestones in life and surely, one of those is passing your driving test. Insurance brand, The Co-Operative Insurance certainly thought so as they launched Nostalgia FM – a social media campaign that aimed to get drivers reminiscing about those early days behind the wheel. Users simply put the date they passed their test into the ‘jukebox’ and it generated a playlist of hits from the time they passed. Users could listen to the results via Spotify and share their lists via social media. And with 69% of drivers admitting to belting out hits in the car, this campaign may well have hit the right notes. Not every social media campaign needs to involve Twitter and Facebook. Hellmann’s recently used WhatsApp for its latest campaign. Called ‘WhatsCook’, users sent pictures of ingredients through to a chef, who suggested a recipe and advised on how to make it – this meant that users were spending, on average, over one hour interacting with the chef and in turn with the Hellmann’s brand – clever stuff! 2015 marks the 100th anniversary of the Women’s Institute, renowned for resourcefulness and craftwork, a live ‘tWItterstich’ event was launched to mark the occasion. Using the hashtag #theWI_100years, WI members live-stitched congratulatory messages, generating over 2,000 tweets with a reach of over 7.6m. The campaign was a UK top 10 trend. Dutch airline, KLM, recently went that little bit further to help customers with their #HappyToHelp campaign. With many of us realising the power of social media when it comes to making complaints, the airline set up base at Schiphol Airport, Amsterdam, from here, they monitored the tweets of airline passengers – paying particular attention to those travelling with other airlines. The airline swooped in to help these weary travellers, giving KLM a way to target its competitor’s customers and reaffirm its commitment to customer service. The campaign generated 36 million impressions. Highly experienced content writer and manages the output of all written creative by the team. Learn with the Studio-40 newsletter.